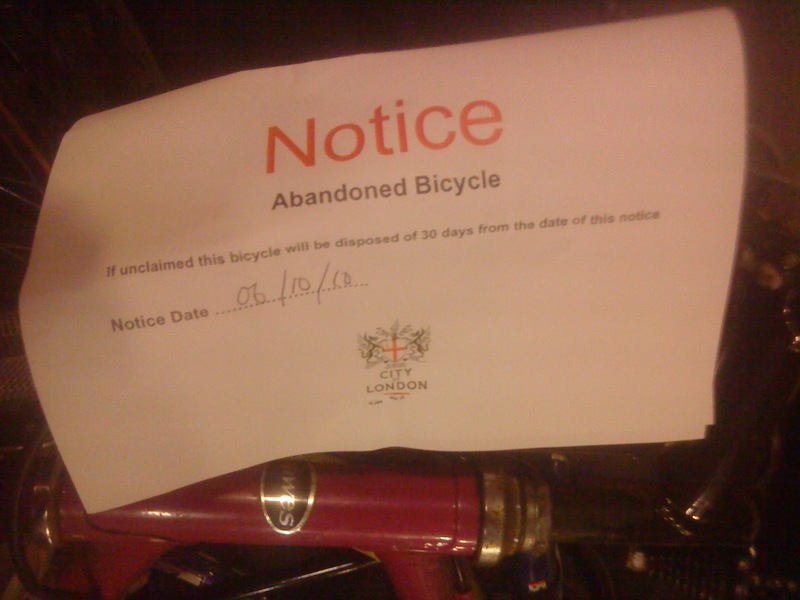 Spotted last week in the Baynard's House car park cycle parking zone. It's good that City Police are doing this. There are only 10 very well-used bike racks at the moment so it's encouraging to see the police clearing abandoned bikes. More spaces coming soon, though!